Dentures have been used since hundreds of years with different types of materials and success. 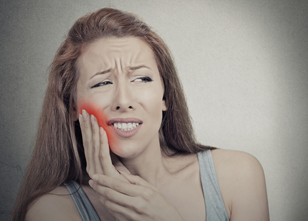 People from ancient times had the same dental problems we have today: gum disease, bone loss, cavities, chipped teeth, accidents… all of these made them also prone to lose their teeth. Some people would use wires to make partial dentures or bridges with false teeth but these were not ideal because they could rot and provoke many other problems and infections. Even George Washington had trouble with his dentures… he had dentures made with hippopotamus teeth, human teeth and metal fasteners, but these were bulky and painful to use. 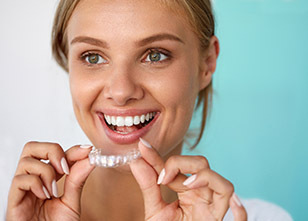 Even now, many other people suffer with their regular denture because the glue often fails and the denture fall in the least expected moment like during a meeting or while eating. There are also thousands of people who can’t use dentures because they get a gag reflex from the roof of the palate. Here at our dental clinic in Cancun we feature solutions for your oral health problems at the most affordable rates while you enjoy the amazing sunny beaches of Cancun. You can use some of the time of your vacation in Cancun to fix up your teeth and come back home with an improved new smile! 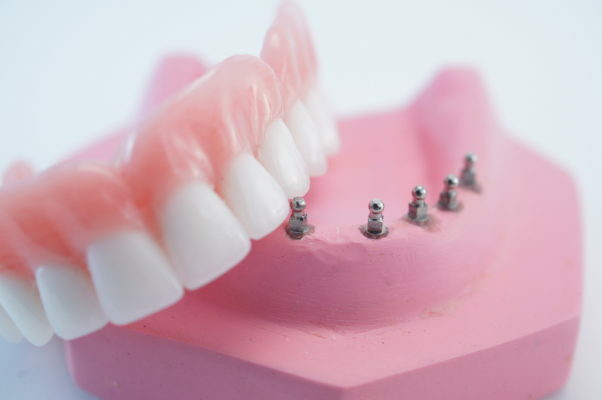 Our Miracle Dentures or Snap in Dentures have no roof of the palate because it doesn’t require glue to stay in place, instead, it uses mini implants and connecting o-rings adapted into the special denture. We have been performing this amazing procedure for almost 10 years, improving the concept of an implant denture, so you should just contact us right now! The doctors can make a specific evaluation of your case, the only thing we need you to do is send us a panoramic x-ray of your mouth ahead of time.